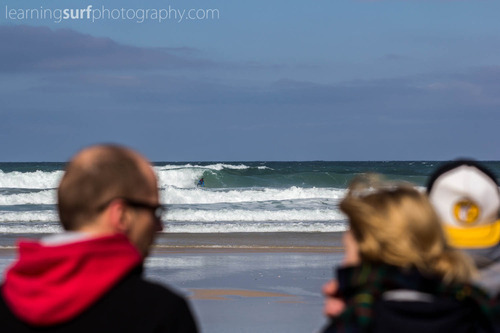 Yesterday I participated in a 2 hour workshop run by Mike Searle as part of the Art8 festival in Newquay, it was good fun and highlighted a few things that I will be working on in the future. I would definitely recommend a workshop like this for anyone learning surf photography, there were eight of us in the group for the morning workshop, from different backgrounds but all with a knowledge of the basics of surfing and photography, I think anyone with an interest in the field would have got something out of it, I certainly picked up some tips and was especially keen to have a go with the 600mm Canon lens that Mike brought along. I’ve put up a set on Flickr and Facebook featuring some of the photo’s I took during the workshop, and I will be touching on the topics we covered in future posts on this blog. 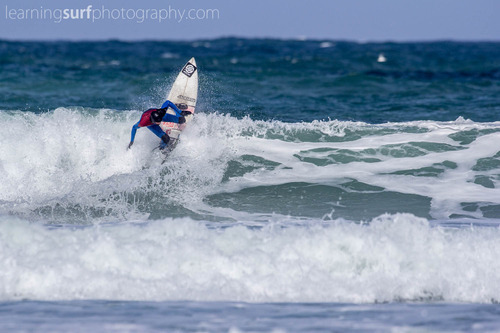 I got lucky with my session using the lens, both the surfers that mike had arranged for us to shoot got waves and made the most of them, so I got to snap off a few frames using my 60D. 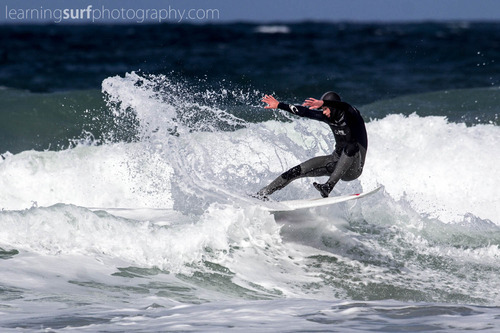 I don’t think I’ll be saving up to buy a big lens any time soon, but it was a great opportunity to try it out, I was very impressed with the speed of focusing on even this relatively old version of the lens, and with the decent tripod and fluid head it was pretty easy to keep the surfer in frame too. The rest of the workshop was inside the Headland hotel where we first looked through some of Mike’s action, lineup and lifestyle/fashion style shots with some tips on composition and techniques, then once we had all had a go we went through some post processing workflow in Lightroom on the photo’s we’d shot. My process in Lightroom is reassuringly similar to Mikes but I’ve picked up a couple of things that will allow me to fine tune my surf photo’s and the export procedure in future. The best part was the surf specific tips for getting the best out of blues and greens for instance, which you don’t get in any of the more general tutorials on line. Overall I had a fun morning and will be seeking out more workshops in the future for sure, I look forward to the next one I can get along to.